After being in the dark about the companies current situation for the last month it has been revealed this week that Camel Audio the popular music plug-ins, sound library and effect maker has been purchased by Apple. Camel Audio shut its virtual website doors last month on January 8th 2015, removing any access to its software from the website and without divulging to users and customers any information as to why. However now has all been revealed. “We would like to thank you for the support we’ve received over the years in our efforts to create instruments and effects plug-ins and sound libraries. Camel Audio’s plug-ins, Alchemy Mobile IAPs and sound libraries are no longer available for purchase. 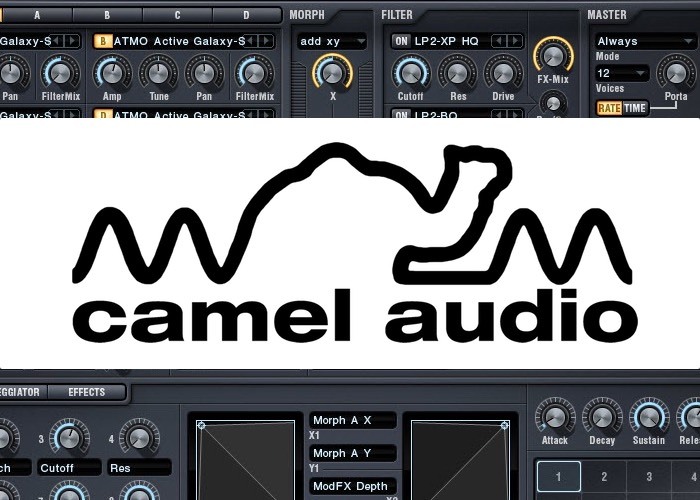 Previously Camel Audio offered a package priced at $249 that included more than 1000 sounds, 5.5GB worth of samples, a powerful additive re-synthesis engine, spectral re-synthesis, and a virtual analog synthesiser to name a few. At the current time Apple has not divulged any information as to its plans for the new acquisition that as soon as any information comes to light we will keep you updated as always.